Today's theme is "Belief", and so I have a short overview/review of the Kickstarter draft of the Spark rpg from Genesis of Legend Publishing. I backed the Kickstarter because I found the ideas behind the game, on how challenging beliefs are central to the characters and the setting, to be really interesting. Just a word of forewarning: this is a fairly complete draft but it isn't 100%. There are some rough spots I've overlooked. Even so it gives a very good idea of what the final game would be like. You tell a story about a group of individuals with their own firmly held convictions. These characters struggle with each other and the world to uphold their Beliefs. From the very beginning Spark is a highly collaborative game. The players and GM create the setting, designating the setting Beliefs and various Factions that have agendas which either refute or support those beliefs. Everyone creates Faces - major NPCs that embody the faction - as well as Ties to other factions. Of course, the players have their own characters. These characters have their own Beliefs that can be refuted or confirmed. Without going into the mechanics in depth, there are four attributes and a selection of Talents the characters possess. The attributes are rated by a standard set of polyhedral dice (d4 to d20). Unlike other games, there are no skill rolls against set thresholds or target numbers. Instead, when players make bold declarations that affect other characters or become objective parts of the setting they roll against one another using the appropriate attribute. The various Talents which apply add bonuses. If others are supporting the character's declaration, it increases the level of the attribute (and thus the die size). The winner of the roll pays an Influence, and their declaration becomes reality (or if the opposition won, does not). If no one objects, no rolls are made. This essentially means that a player who narrates that they succeed at a task just does so unless another player doesn't want that to happen. It is notable that the GM has his or her own Influence pool and setting attributes, and unquestionably has a strong voice in what goes on around the table. Conflicts in Spark can be reduced to a single, basic procedure. If you are ever stuck in the game or uncertain what the rule is, just follow these steps. 1. Discuss the problem and explain your intentions. 2. If everyone agrees that something should happen, it does. 3. If people disagree, everyone rolls the relevant dice and the person with the highest number gets their way. 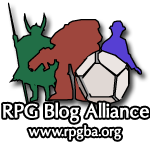 Instead of checks and balances in the game being within tables and modifiers and target numbers, it's ensconced within the player group. This even extends to pacing - the players are involved in determining whether factions achieve their short term agendas, or where the scene takes place, the pivotal event within the scene and what question needs to be answered. When that question has been answered, the players also have the ability to suggest closing the scene out and moving on to the next one. At the end of each episode (which is comprised of several scenes), the players get to evaluate both their beliefs and the setting beliefs. Anyone who successfully refuted or confirmed a setting belief gains Influence. Players characters can also convince other characters to change their Beliefs by spending Influence. Unfortunately, while the draft rules are clear about what happens at the end of the episode - there are Influence tokens on the Belief sheet, and when the Beliefs are refuted or confirmed by a player character they are able to take that Influence - exactly how the tokens get there is not clear. It is a draft, and the comments on the Kickstarter clarify that at the beginning of each session one Influence token is placed on each Belief on the Belief sheet. Also, while I genuinely like the "Influence economy" and the rules for challenging and changing beliefs, I feel that the scene phases are too mechanical. At times while reading Spark I got a board game vibe from the rules. This is with the caveat that I've not had a chance to playtest the game - it may go a lot smoother than I imagine. Part of it may have more to do with presentation than anything else. Spark's implementation is likely one that won't work for every group. Whether the group is successful or not with Spark is going to be highly dependent on the players, more so than with "mainstream" games. Some groups or individual players will take to the collaborative nature more than others, and some players may be put off by the amount of "meta gaming". I can hear a late friend of mine spinning in his grave just thinking about the level of collaborative play and player input Spark demands. He liked skill points, rolls for success or failure, combat rounds and omnipowerful GMs. Spirit of the Century, no matter how much I tried to sell him on it, was even too much. I'm tempted to suggest that scene framing phases be taken care of during downtime, so the players know what to expect during each episode. The game sessions would be comprised primarily of Collaboration, scene closing and then wrap-up at the end of the episode. The problem with this solution is that depending on how a particular scene goes, it may invalidate some or all of the other scenes that had been worked out during the downtime. On the plus side, the basic framework for working to influence and change Beliefs is very compelling. My favorite setting, Tribe 8, seems to be perfect for this kind of play. Tribe 8 was the main reason I backed Spark's Kickstarter. The setting attributes and beliefs, the factions, the Faces, the ties, the agendas - they are already present in Tribe 8. At its heart, Tribe 8 makes exceptionally strong statements about belief and how it can change the world. All of the right elements are there to be slotted right in, and I have a clear idea about how it would be set up. Spark goes further afield than Fate Core does in terms of player input and collaboration, and from my experience that buy-in is required for a good Tribe 8 game. For sure any foray into playing Spark for me is going to be Tribe 8. I'm actually considering having concurrent Fate Core and Spark games that shadow one another. We'd switch from Fate Core to Spark as needed when testing beliefs are involved, yet still strive to maintain continuity between the two games. I think that with some clarification on the draft rules (which is apparently already been noted and is being worked on), Spark is a very good game - for the right group of people and the right setting. It won't necessarily be for everyone. Players who want to seriously explore their characters' (and their own) beliefs will certainly enjoy it. Even then, Spark's set up is one that lends itself well to be included as part of another game - not just mechanically, but thematically. Any group that wants to explore their characters' (and their own) beliefs couldn't go wrong by at least looking at what Spark has to offer. There are lot of really, really cool games that never see the right audience. Wow, this sounds interesting! I would love to give it a try. Cheers! Happy A to Z! Thanks! I need to do some bloghopping myself. Tim, most definitely. I think part of it is because people can get very set in what a "game" should be, so they don't venture outside of that little bubble of D&D-like games, or Shadowrun-like games. The one thing I like about Spark is that unlike some "story games" that are very narrow in focus and regimented in implementation, Spark goes broader. Frankly, the setting creation guidelines are simply awesome - whether they're used in Spark or not.